Trinity Road Chapel is one of a network of churches in Balham, Streatham, Tooting and Wandsworth Common that are PASSIONATE about Jesus Christ. Our desire is to CONNECT people with Jesus and we are working together to organise a week of events to help do this in Easter 2010. 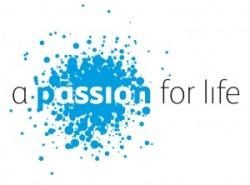 Our week of events is running from 14th to 21st March 2010 and is part of the national church-based initiative, A PASSION FOR LIFE, which is about proclaiming Christ’s PASSION in Easter 2010.